"If I Don't Get Shot in the Back Before I'm Half Way Across the Cave, How Do I Know When to Stop?" First appearance: Amazing Stories, December 1942. Reprinted in Amazing Stories Quarterly, Summer 1943. Novelette (23 pages as a PDF). "Listen Blake, when I sent for you, I figured you'd fit in here. I didn't know you'd fall for all this kid brother heroic stuff." Hijacking a train is never an easy proposition, so stealing one capable of five hundred miles an hour might stymie your average train thief. 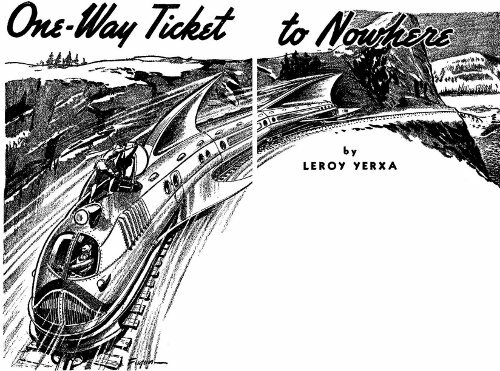 Nevertheless, a gang of hijackers colloquially known as the Silver Masks has been successfully doing that for the past six months, and it's about to bankrupt Walter Ferrell's "Hope to Horn" high-tech railroad. A helpful footnote tells us that "Hope to Horn" is . . .
". . . the nickname lovingly applied by its loyal employees to the mono railroad developed and owned by Walter Ferrell. These mono, or single-tracked trains were brought into service in 2100. The Hope to Horn line itself consisted of a north- and south-bound rail of heavy plastic extending from Hope, Alaska to Cape Horn, South America. They were powered by standard sixteen engine diesels, capable of five hundred miles per hour. 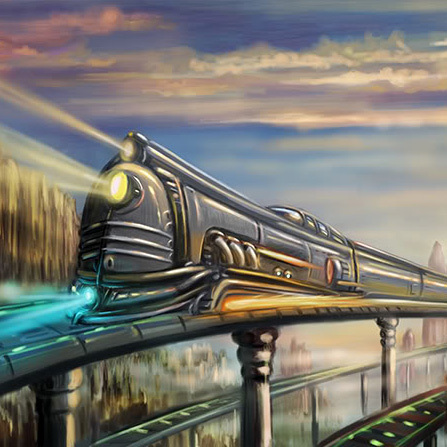 Built almost in the shape of long graceful fish, the trains were of highly colored plastic. They ran on a single rail of plastic-steel. In a few short hours men and women tired of business could follow the entire Pacific coast line from one end to the other, the entire trip consuming twenty-two running hours between Hope and Cape Horn."
. . . most of it a big blur, no doubt, but the public seems to like it—or did, until the Silver Mask raids started. Just back from ten years in space and heading to see his twin brother, Jeff Blake walks right into one when Mono 6 gets hijacked on its way to Tierra del Fuego with his old pal Holly O'Toole, Walter Ferrell himself, and Ferrell's stunning (of course) daughter Dauna. Blake will have to get heroically proactive if he hopes to save the situation—as well as the stunning (of course) Dauna—but a couple of things could deep-six the rescue if they become known: Two supposedly trustworthy people on Mono 6 aren't who everyone thinks they are—and one of them calls himself Jeff Blake . . . Comment: In view of what happens in the story, the editorial headnote makes no sense at all. showed him with his mystery fiction hat on. 25 seconds), is presently online (HERE), but it could use a few subtitles. The bottom line: "How did I get to Hollywood? By train." "It Would Have Been Very Awkward If He Had Been Killed by the Fall"
The most famous commercial traveler in mystery fictiondom is probably Dorothy L. Sayers's Montague Egg, whose unlikely entanglements with crime she featured in not quite a dozen Eggs (see "Resources," below). Because the general conditions were more or less the same for Mr. Egg as they were when this nonfiction article with its amusing anecdotes about traveling salespersons first ran, you could consider it as background reading (and, no, there will not be a test). 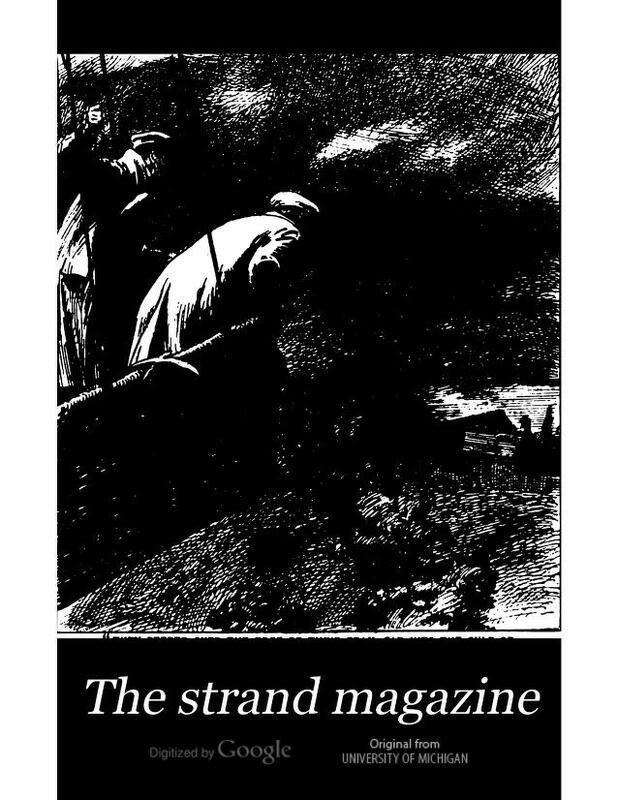 First appearance: The Strand Magazine, June 1907. 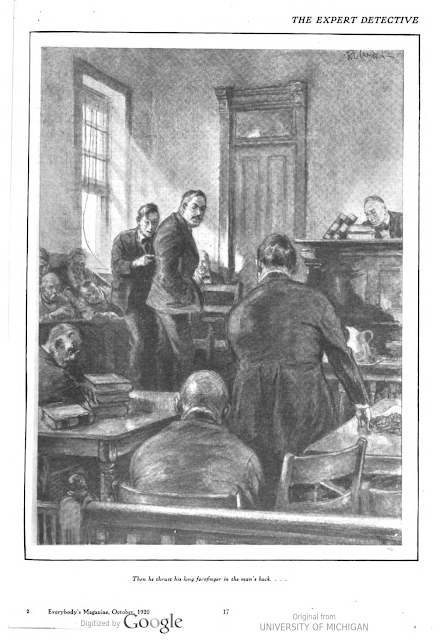 Reprinted in The Strand Magazine (U.S.), July 1907. ". . . I had hardly got my grip when his feet slipped from off the footboard and he fell back into the darkness. His hat had dropped upon the floor of the carriage. I picked it up, threw it out, and closed the door again." 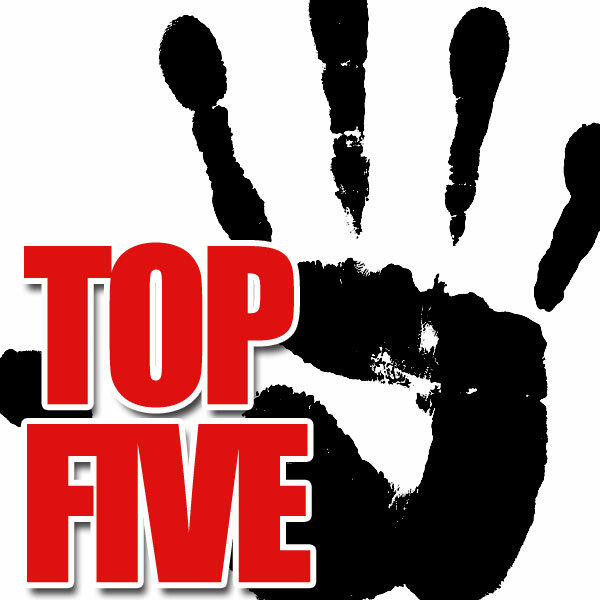 listed under Hangman's Holiday, and the first five under In the Teeth of the Evidence. 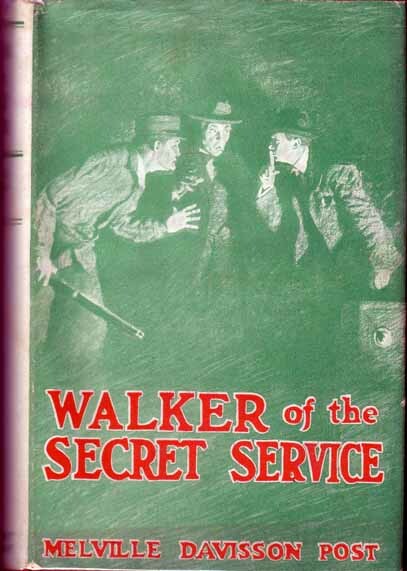 These tales are among the best pure detective stories that Sayers wrote. Most of the tales reflect realist school paradigms of detective fiction. Several of the best of these tales center around clocks and alibis. . . . 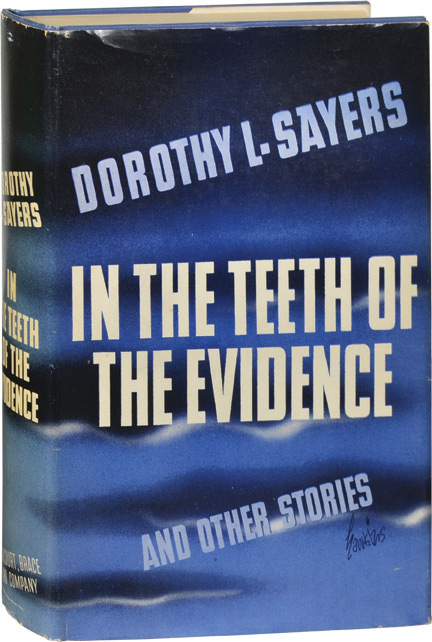 In general, many of Sayers' best plots are found among her shorter fiction. They tend to have real puzzle plots, in the sense of a initial, well defined mysterious situation that ultimately reaches a clever solution." 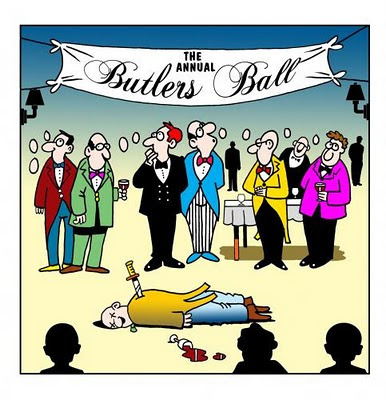 (1) "The Poisoned Dow '08"
(2) "Sleuths on the Scent"
(3) "Murder in the Morning"
The bottom line: "To serve the public is the aim of every salesman worth the name." THE MOST VIEWED posts last month were something of a mixed bag: a thriller about a bill collector, one about an incriminating hat, our first Salmagundi, a B-Western in space, and, rounding out our Top 5 in June, our Top 5 in May. Go figure. (2) "The Brain Jungle," Short Stories, April 1916 (below). By Edward Mott Woolley (1867-1947). First appearance: Short Stories, April 1916. Online at The Pulp Magazine Project (HERE, slow-load PDF; scroll down to page 63). "A wealthy woman murdered in her carriage, a sister of charity drowned as if by accident, children poisoned by some mysterious agent, such was the situation when Felix Hazard was called into the crime area of a hitherto reposeful New England town." Poor little Litchfield, hitherto virtually squeaky clean, is undergoing an unprecedented crime wave—five mysterious deaths in rapid succession, all with no apparent motive and no seem-ing relationship to each other. In desperation the town's mayor travels down to the Big Apple to enlist the aid of the Hazard Detective Agency (its motto: "Silence—silence always!") and its enigmatic, brusque director. "Hazard was there, seated at a flat-topped desk in a haze of blue tobacco smoke, with some red and green diagrams before him." "You remember that he took little interest in ordinary crimes with common-place motives. Nor did he waste time discussing them. The world was full of sordid deeds of violence, and his lightning-like imagination had a habit of jumping to fantastic possibilities. If he found no range for such flights of involved fancy, he invariably dropped a case at the start." "There was something singularly uncanny in Hazard's unusually large and rounded orbs when they chose to frame an illuminated interrogation mark." "Hazard and [his operative Delos] Nast usually worked on the hypothesis that a study of mental processes afforded the best path to crime solution." "Alibis are inconvenient nuisances in the detection of crime." "When I shut my eyes I sometimes see things that may or may not exist in reality. It is the things one sees in the dark that makes the good detective. He may stab and hit nothing, but if the thing he sees is really there—Ah! mysteries have a habit of fading away!" "The imagination, my dear sir, is a wonderful thing. It can jump to any height and explore the most inaccessible mental absurdities; but if it is a good healthy imagination it will return to earth just as quickly when it finds nothing up there to seize upon." "It is your privilege and mine, Nast, to reach continually a little beyond the known realms of mental science. We are explorers in that most mysterious of all countries, the Brain Jungle." "Analogies, my friends! I try to reason from such analogies, for the human mind, however erratic, always comes back to certain starting points. The more you study the morbid histology of the brain, the more you see that these microscopic tissue structures in different craniums simply repeat the same general story." Typos: Missing quotation marks in several places; "paranoaic." If nothing else, this story affords you an opportunity to enlarge your vocabulary; look these up in your Funk & Wagnalls: sempervirent, philoprogenitiveness. - Prabook has an outline of Edward Mott Woolley's life (HERE), and The Online Books Page has a list of his books that are, well, online (HERE). The bottom line: "Murder was deeply human. A person was killed and a person killed. And what powered the final thrust wasn't a whim, wasn't an event. It was an emotion. Something once healthy and human had become wretched and bloated and finally buried. But not put to rest. It lay there, often for decades, feeding on itself, growing and gnawing, grim and full of grievance. Until it finally broke free of all human restraint. Not conscience, not fear, not social convention could contain it. When that happened, all hell broke loose. And a man became a monster." "Ye'll Never Make a Fool Out o' Me No More, Guv'nor!" By John D. Swain (?-?). 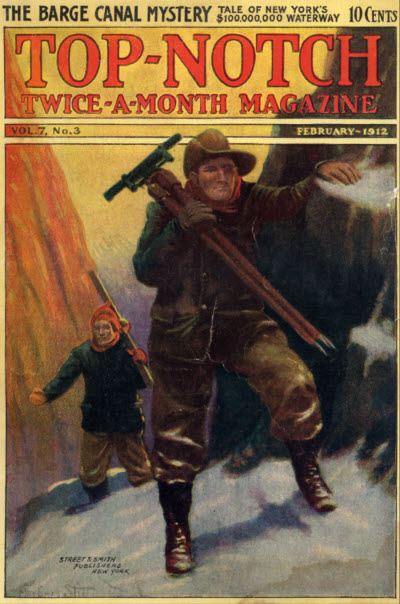 First appearance: Munsey's Magazine, October 1924. "A story of the strange ending of a long professional partnership." 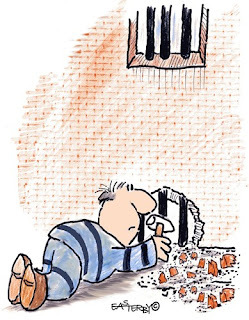 According to the song, "breaking up is hard to do"; but a lifetime (if that's the right word) of abuse and neglect must inevitably lead to someplace dark and unforgiving and spiteful: "I growed a soul o'sorts—just enough to suffer with." and slicks from 1900 to 1939.
has "A Short History of Evil Ventriloquists in the Movies" (HERE). 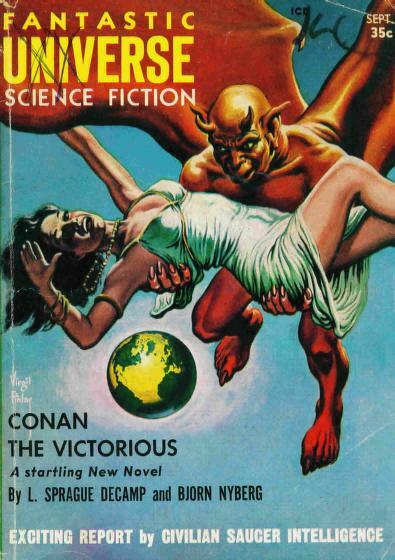 "They Are Subject to a Higher Law, and You Have Forced Them to Break It"
By Robert J. Shea (1933-94). First appearance: Fantastic Universe, September 1957. "They had come to pass judgement on him. He had violated their law—wilfully, ignorantly, and very deliberately." 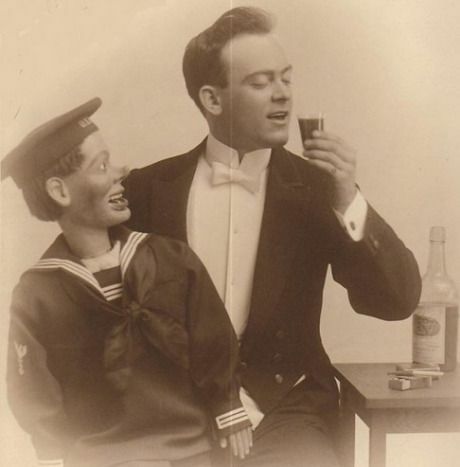 Rankin knew how to handle robots—but they also knew how to handle him . . .
in their Illuminatus! trilogy (HERE); for more about Shea see Wikipedia (HERE), the SFE (HERE), and the ISFDb (HERE). The bottom line: "Whether we are based on carbon or on silicon makes no fundamental difference; we should each be treated with appropriate respect." First appearance: Macmillan's Magazine, January 1906. Reprinted in The Living Age, February 17, 1906. "But in all the State there was only one heart that failed to rejoice, and that heart nurses its sorrow yet in crabbed old age." "Law loses some of its terrors for those who indulge in years of lawlessness; and the warder whose neck they had broken was not the only man they had killed in unfair fight." "Every now and then a twig cracked sharply or a creature of the bush, alarmed at human presence, caused a sudden noise, which set the men's tense nerves jumping and sent their right hands quickly to the revolvers they had stolen from prison." "Then they passed into the shadows of the thick bush, leaving the woman standing at the window praying for a villain to the only god she understood, the god of hope." "Essex read the proclamation aloud in a tone of hearty derision, until he came to the fourth paragraph, when his voice dropped to a whisper. . . ."
- "How It Ended" is the author's only story so far listed on FictionMags. - The only other piece by C. Randolph-Lichfield that we could locate was "A Terrible Adventure with Hyenas" (dated January 1, 1912), online (HERE) and (HERE). By Wilbur Daniel Steele (1886-1970). First appearance: The Century Magazine, August 1917. Online at UNZ (HERE) and Archive.org (HERE). 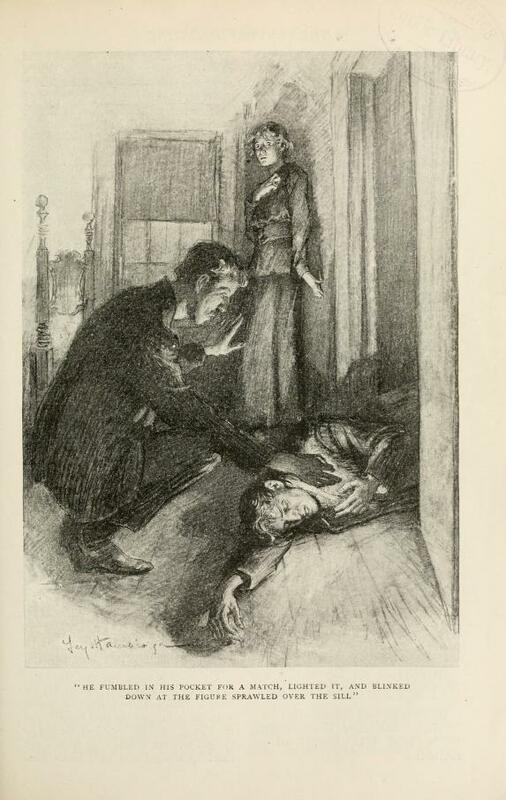 "His fumbling hands had found what they were after at last, and the listeners beside the bed heard the sharp click as the hammer came back under his thumb and the trigger was set." his ex-con brother, after five years in prison, to Belle, a now-mature woman who was once promised to Luke, but whose heart has turned another way? 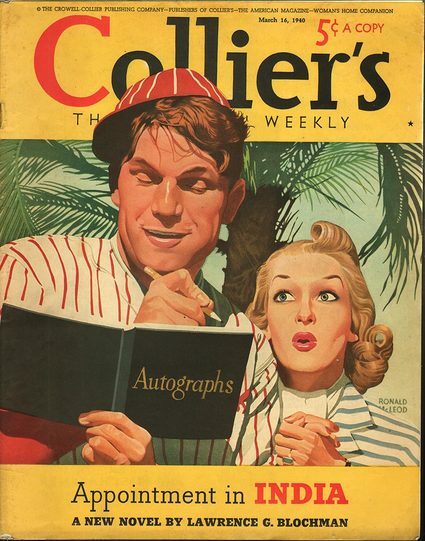 First appearance: Collier's Weekly, March 16, 1940. 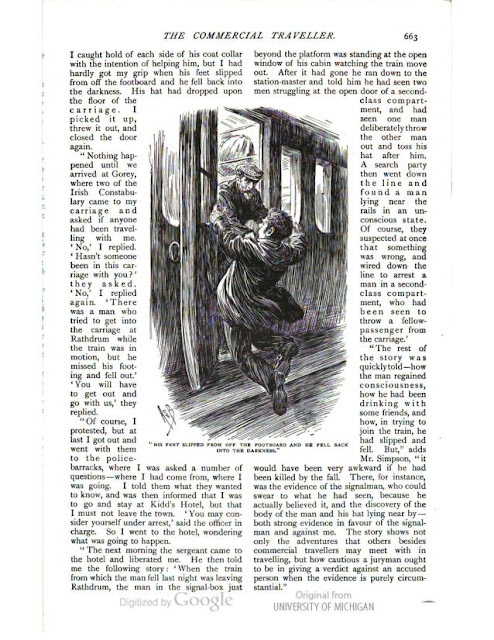 Reprinted as "The Frightened Girl" in The Saint Detective Maga-zine, February 1955; The Saint Detective Magazine (Australia), September 1956; and The Saint Detective Magazine (U.K.), November 1956. Online at UNZ (start HERE) and (continue HERE; scroll down to page 64). "She was back in a cower in her corner again. 'Okay,' said Shag. He let a car that was coming go by." 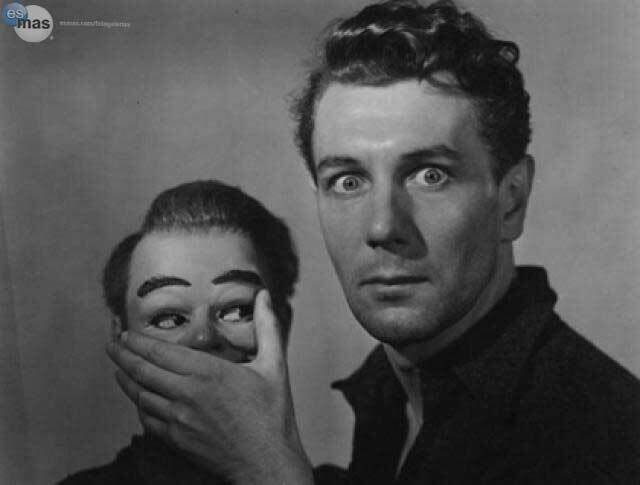 What happens between Shag and Irma on that dark and stormy night is best summed up by Shaw: "The single biggest problem in communication is the illusion that it has taken place." as an O. Henry-related post (HERE). an entry on the ISFDb (HERE). 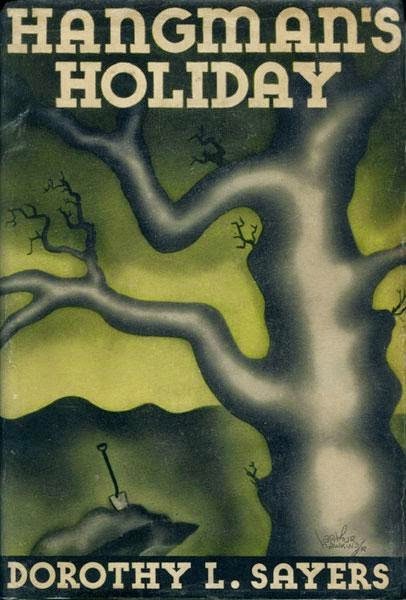 - The IMDb (HERE) has a relatively short filmography; the editors of the Alfred Hitchcock anthologies deemed four of his stories worthy of inclusion (HERE). 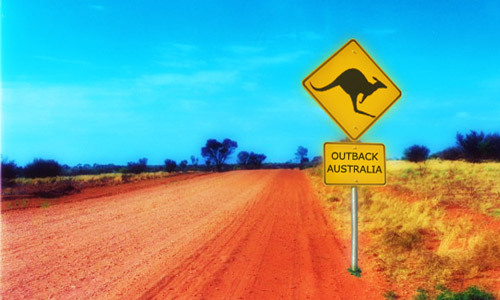 "From Lonely Outback to Multicultural Cities." "THE CRIME AND mystery section of Australian bookshops has never been more diverse, with writers hailing from every corner of the English-speaking world, especially from the US, UK and Scandinavia (in translation). Amid the wide range of crime subgenres—'cosy' crime, the urban American 'hardboiled' detective, police procedurals, and psychological or forensic thrillers—it may be surprising to discover that much of Australian crime fiction can be loosely classified under those same categories, albeit influenced by antipodean traditions, such as an ambivalent attitude towards authority and a love of laconic humour. The environment is also a crucial aspect of Australian crime fiction. 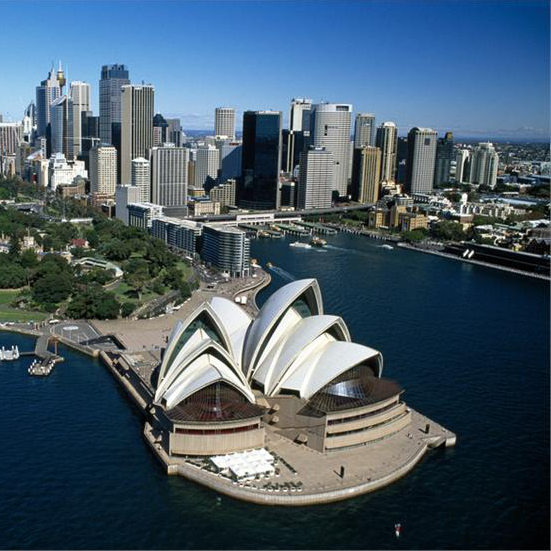 An Australian setting, whether in the bush or the city, helps to shape atmosphere, plot, character and language." "Australians today are keen to read about crime on an international scale, but in the colonial era they were preoccupied with dangers at home, in the form of transported convicts, bushrangers, fraudsters using false identities, and other ruthless characters. 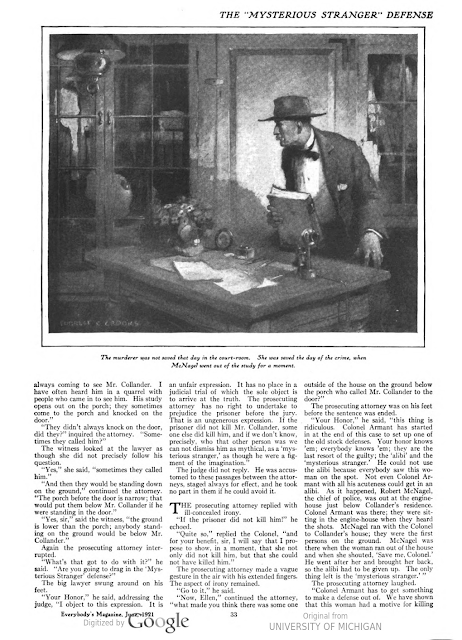 Public imagination was captured by newspaper reports of crime, and crime fiction soon appeared. 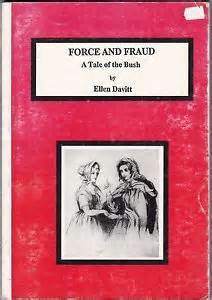 Force and Fraud (1865) by Ellen Davitt was the first novel to be serialized in the newspapers; the author’s name is preserved in the annual Davitt Awards for crime writing by Australian women. 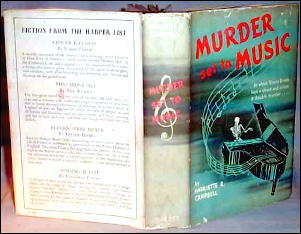 Other early crime writers include Mary Fortune, whose police proce- dural series, The Detective’s Album, was published under the pseudonym 'W.W.' 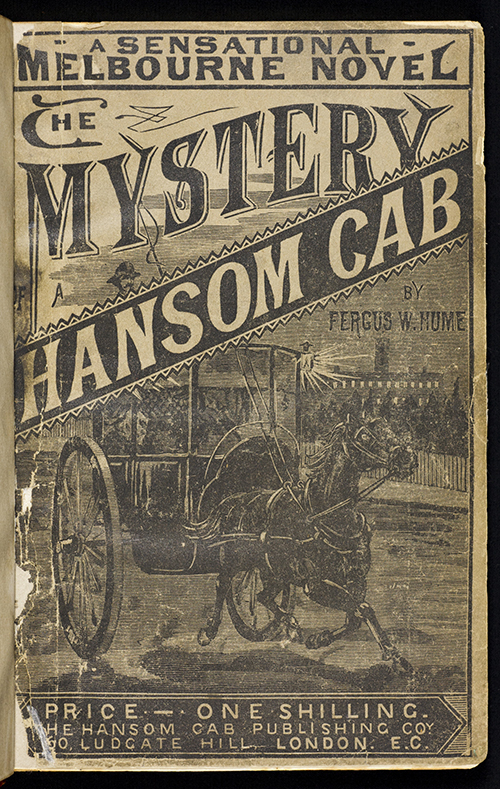 from 1868 to 1908, and Fergus Hume, who is best remembered for The Mystery of a Hansom Cab (1886)." "Historical whodunits are probably the closest thing in Australian crime fiction to the 'cosy' subgenre, which in Britain or America features a civilian sleuth in a small community (think Agatha Christie’s Miss Marple), and which spares readers the gory deaths and graphic violence of current forensic and psychological thrillers." "In the same year The Maltese Falcon was appearing weekly in America, British readers met Arthur Upfield’s Detective Inspector Napoleon Bonaparte ('Bony') in The Barrakee Mystery (1929). 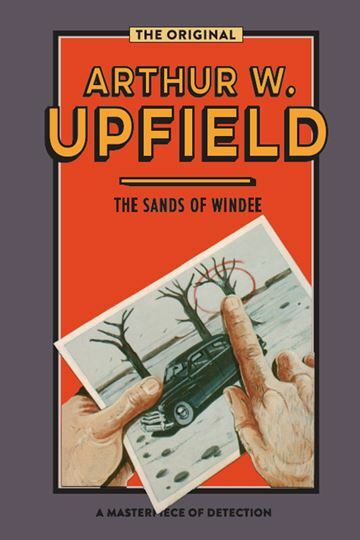 However, the first 'Bony' novel published in Australia was The Sands of Windee (1931). Bony is part-Aboriginal, reflecting Upfield’s fascination with Indigenous culture and his knowledge of the outback from patrolling vast spaces in Queensland and Western Australia and working on sheep stations." "Garry Disher grew up on a farm in South Australia, which seems to have inspired his latest effort, Bitter Wash Road (2013), a tale of a city cop who is demoted and sent to the sticks, where he is assumed to be a whistleblower and accordingly ostracized. Disher’s main police procedural series, featuring Detectives Hal Challis and Ellen Destry, is set on the Mornington Peninsula in Victoria. Apart from investigating the crimes of assorted serial killers, rapists and burglars, these novels tap into the personal lives of the police. Disher also writes a hard-boiled series with an unusual protagonist, Wyatt, a career crimi- nal who plans major robberies, is double-crossed, and seeks revenge and recovery of the money." "Although many Australian crime novels invoke dry humour, there is a particular type of larrikin yarn that gives equal weight to comedy and action. These stories usually involve a wise-cracking, accidental sleuth caught up in dangerous encounters with ruthless villains, while simultaneously juggling financial, family or romantic woes. . . . 'Chicklit' crime is a description that can be applied to larrikin sleuths who are female. Marele Day’s Claudia Valentine series (1988–95) paved the way to some extent for the current generation of feisty, resourceful and quick-witted heroines." 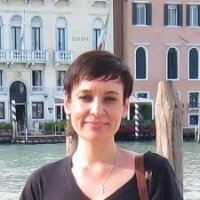 Thus, all the permutations of crime fiction as we know it in northern climes are present in Australian mystery writing, but with a few local adaptations uniquely their own. ~ "The Transvestive Bushranger from Bundoora: The Beginnings of Australian Crime Fiction" by Lucy Sussex (HERE). ~ "A Woman of Mystery: Mary Fortune (1833-1909?)" by Lucy Sussex (HERE). ~ Fergus Hume (HERE) and The Mystery of a Hansom Cab (HERE). 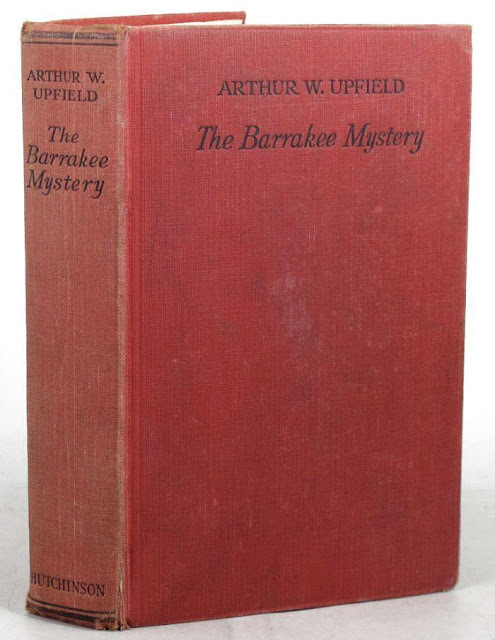 ~ Arthur Upfield (HERE), The Barrakee Mystery (HERE), and The Sands of Windee (HERE). ~ "True Blue? Crime Fiction and Australia," by Stewart King, The Conversation, October 4, 2015 (HERE). ~ Goodreads: Australian Crime Fiction, 205 titles (HERE). ~ Fair Dinkum Crime (HERE). - By sheer coincidence, today's posting relates to last week's Miscellaneous Monday (HERE). "Sometimes I think I'm my own worst enemy." "Not when I'm around, Peter." By S. Roger Keith (?-?). 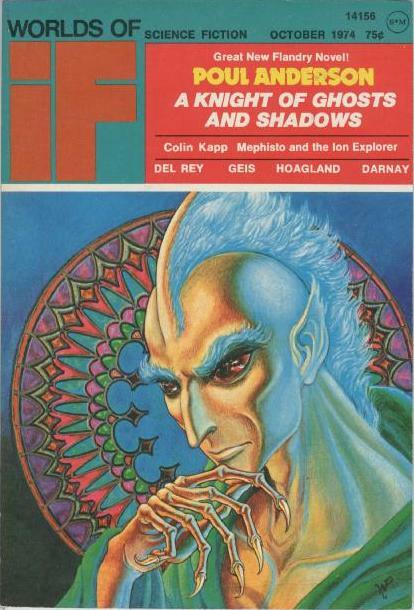 First appearance: Worlds of IF, September-October 1974. As if Klingons weren't a big enough problem facing those who would boldly go where no CPA has gone before . . .
"On the Floor of the Library." First appearance: Sinbad and His Friends (1921). Short short short article (2 pages). 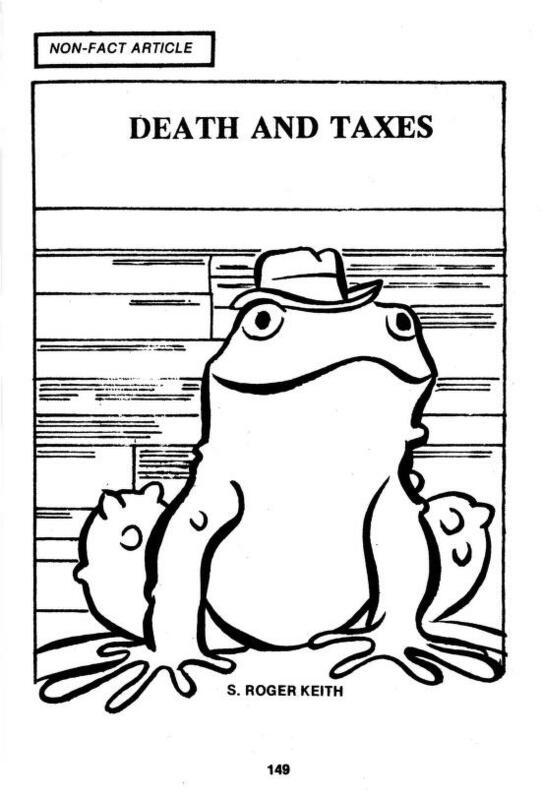 Online in Prof. David Stewart's Library (HERE) (PDF). ". . . a selected course in reading from Conan Doyle to Carolyn Wells is a guide to the institutions, culture, and life outlook of the nations from China to Chile." After reading this, you won't be able to argue with the author when he observes: "The common belief that the British are an open-air people is utterly opposed to the facts"; or when he writes: "Economy and resourcefulness are not among the virtues of the classes addicted to being murdered in their bedrooms or in their libraries"; or when he concludes: "Nearly everybody in a mystery novel is a consummate athlete"; and other salient obiter dicta. - We think Robert J. Casey's later essay (HERE) complements Strunsky's article rather nicely. Running time: 7 minutes 44 seconds. Ah, the Tex Avery touch . . .
Editor's note: This is the 1,000th posting for ONTOS since September 2013. Many thanks to those of you who have stayed with us. which, paradoxically, has led to a noteworthy change in a lot of crime fiction. "Nationality International: Detective Fiction in the Late Twentieth Century." By Dr. Eva Erdmann, Romance Studies, University of Munich. 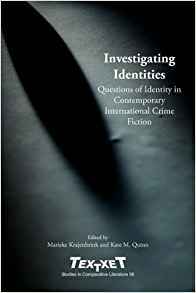 First appearance: Investigating Identities: Questions of Identity in Contemporary International Crime Fiction (2009). "It is the wide variety of new scenes of the crime that ensures that contrasts exist between the various novels. In recent decades, detective fiction has described so many customs and mores from different parts of the world that it is impossible to get an overview. The treatments of them are so detailed that many detective novels can also be considered milieu studies and social novels." of criminal motives and case histories have been exhausted, so that crime fiction’s primary distinguishing characteristic has become the locus criminalis." "In literature, the spread of crime has taken on topographic proportions that reflect the globalization processes of the late twentieth century. In crime novels at the beginning of the twenty-first century, investigations take place all over the world and anyone who went to the trouble of totting up the sum of fictional scenes of the crime would be undertaking a project of international cartography. On the map of the world there are hardly any areas uncharted by crime fiction, hardly any places that have not yet become the setting for a detective novel . . . Crime plots have been located on every continent and in every country, even in the remotest of places." 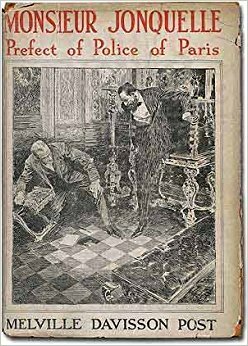 "In the early twentieth century, the French and the English crime series were already well established, and the plot of a detective novel was expected to exhibit a certain national flair. The new crime series, as milieu studies and novels of customs and mores, have specialized in international background and location studies, becoming the exponents and chroniclers for the settings of their plots." ". . . the seemingly necessary alien perspective continues to be a mechanism that endows the new crime novel with a touristic character. Even the publishers’ marketing blurb for successful crime novels today draws on the nomadic biographies of authors who travel throughout the world, authors like Henning Mankell, the Swede living in Mozambique, and Giorgio Scerbanenco and Donna Leon, the Russian and American living in Italy. Gradually, topographic references are becoming ever more exhaustive, profuse and detailed. The range of investigators and detectives operating at a national level is being expanded and complet-ed. . . . In crime novels and series, the heinousness of crime is increasingly being replaced by the search for more colourful settings and, by means of a specific local connection . . ."
"Deep within our crime fiction world as it comes alive in books and in film, there is a paradox that is hardly noticed any more. The unusual occurrence of murder has become the norm. The extensive production of crime series and the frequency with which they come into being have made capital crime into an everyday event. We have an uninterrupted daily supply of corpses, crime motives and convicted criminals . . . When there are murders waiting for us around every corner, the predetermined course of events in the plot becomes ever more ster-eotypical, the variations in crime motives, murder weapons and murderers’ profiles ever more transparent . . . The enigmatic riddles of the detective stories of yore, which kept their secrets until the final pages, have given way to crossword puzzles in which the same combi-nations of letters always repeat themselves. The investigation works with stereotypical sentence patterns: 'Did the deceased have enemies? ', 'Where were you between one and three in the morning? ', 'Put the gun down, you’re only going to make things worse for your-self.' Serial production of detective fiction turns murder into a banality." "Even in fiction, film and the modern fairy tale, a daily murder ritual becomes boring in the long run if there are no other elements of suspense. These are created when the foreseeable riddle of the whodunnit is replaced by mysterious surroundings that the investigative troops explore; knowledge of the local environment becomes the fundamental competence neces-sary to investigative work . . . If Auguste Dupin began his analyses from the armchair and arranged his hypotheses in a logical chain of statements, today’s social thriller definitely takes place at the scene of the crime. The reading of crime novels becomes an ethnographic reading; the scene of the crime becomes the locus genius of the cultural tragedy." "In the second half of the twentieth century, gradually at first, and then increasingly, as the boom in crime fiction took off, the pursuit of the criminal was displaced by the search for cultural identity. 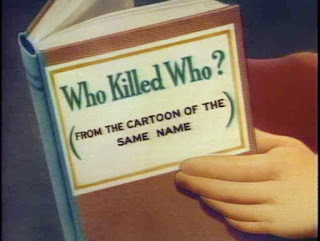 The genre of crime fiction has thus thematically returned to the tradition of the search for identity of classical antiquity, as typified by the crime of Oedipus Rex, where the murder of the king sets in motion a process of questioning and revelation of identity. . . . The criminological search for the trail of evidence is transposed to epistemologies of cultural anthropology, ethnographic and national characteristics, and the structure of the genre is governed by the spectrum of cultural identities. The new crime novels are characterized by their variously staked out territorial contexts that encompass ethnic groups, nations, regions, provinces or cities, but only by degrees. The distinguishing feature that they share remains the representation of the territory and its cultural conditions." genre. In certain novels the resolution of the murder can be seen to coincide with a restoration of cultural order, whereas in other cases these very orders are questioned." - The International Crime Fiction Research Group has a weblog (HERE), while the one for International Noir Fiction is (HERE). - The Independent can get you "Around the World in 80 Sleuths" (HERE). "It Is Surprising, Then, That a Scholar of This Type Should Stoop to the Lowly Murder Yarn"
FUNNY THE THINGS you can stumble across while surfing the 'Net; case in point: these two short mystery book reviews that first appeared in Ohio periodicals aimed at engineers. 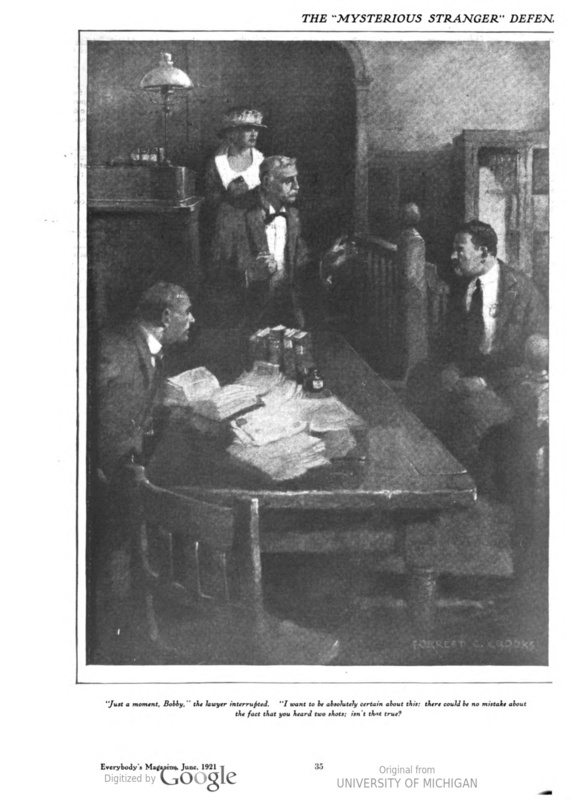 The first one features S. S. Van Dine, the ne plus ultra detective fiction writer of the time (or so he and everyone thought), while the second review introduces us to an obscure Golden Age author who, to judge from the mostly positive responses to her work, deserves a larger-scale reprint revival. ========================================================================= The Ohio State Engineer, October 1928. The Greene Murder Case by S. S. Van Dine. 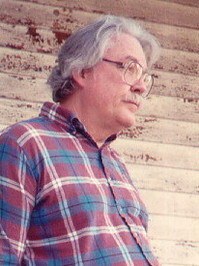 Reviewed by Charles A. Merz (HERE). "A current magazine gives a very interesting account of the author of this book. 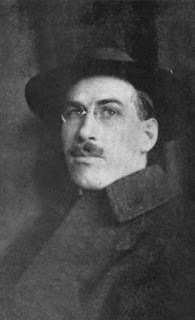 S. S. Van Dine, it appears, is a nom de plume which the author has assumed for fear of compromising his high position in other fields of literature. He claims that he is the author of several books on abstract subjects as well as being a recognized critic of art and literature. By 'recognized' we mean a critic whose opinion is eagerly sought after. A liberal education in this country and abroad is the scholastic background of this mysterious writer. "It is surprising, then, that a scholar of this type should stoop to the lowly murder yarn. Mr. Van Dine accounts for this in a convincing manner. During his recovery from a nervous breakdown he was allowed to read only light fiction. He spurned, as do most learned men, the mushy romance. There remained only the mystery story, so he devoured all he could lay hands on. His massive intellect was arrested by the questioning thought of what constituted the underlying principle on which the 'good' murder or mystery story was based. Like a great scholar and investigator he did the job in a scientific manner. He read every mystery story that he and his book dealer could lay hands on. Being a student of foreign languages he imported French and German thrillers. 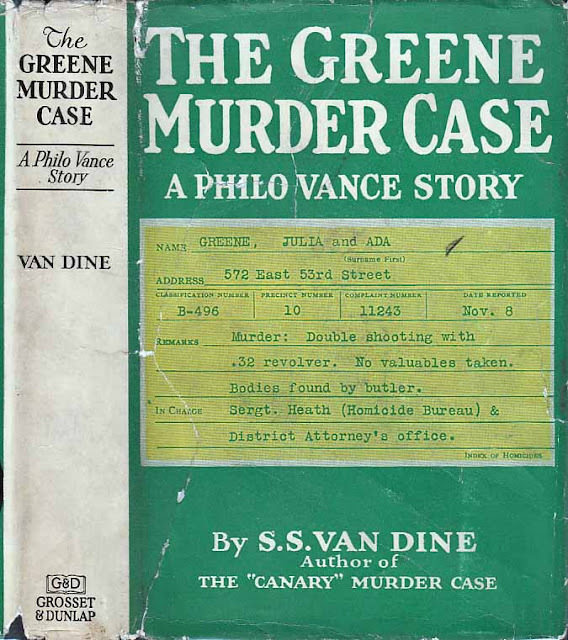 After wading through this gruesome mass of 20,000 mystery stories in three languages, Mr. Van Dine may be readily conceded the honor of having read more crime tales than any man alive. to the writing of thrillers. "Mr. Van Dine has demonstrated that when an educated man turns his interest to some subject and applies his learning, he will turn out a better piece of work than his less educated co-worker. This author has undoubtedly opened up a new era in this type of literature. 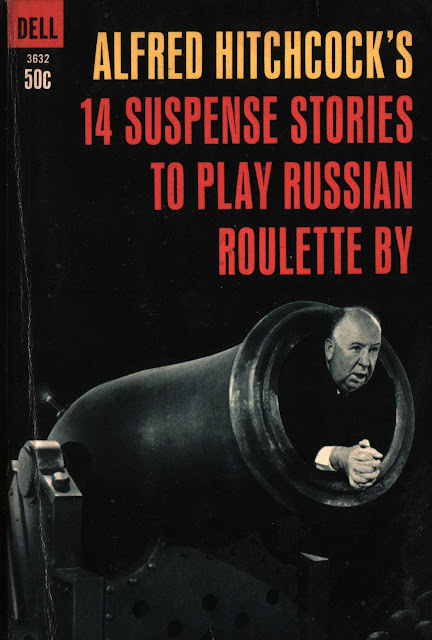 The reading public is demanding more in their mystery stories — not more thrills but more sense." Part 1: (HERE) and (HERE; scroll down to page 111). Part 2: (HERE) and (HERE; scroll down to page 245). Part 3: (HERE) and (HERE; scroll down to page 375). Part 4: (HERE) and (HERE; scroll down to page 502).
. . . or, if you're not one of those, you can find it in six formats at FadedPage (HERE). 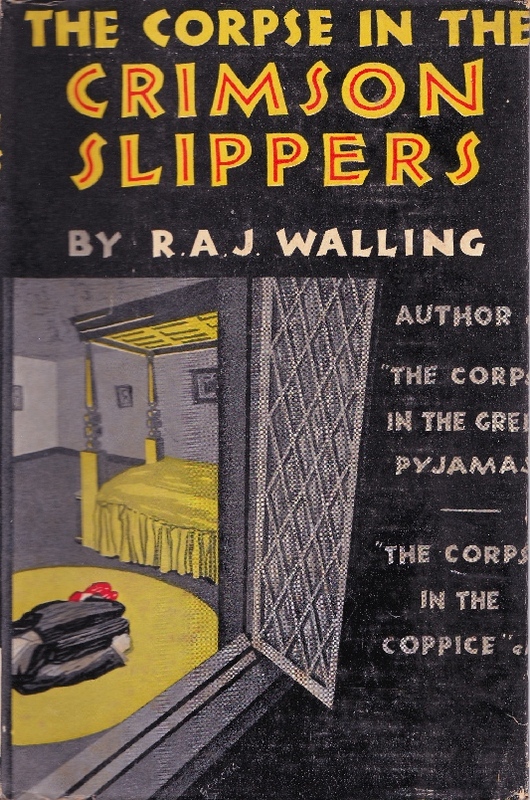 "Chills: If you want a good new mystery story, spend the evening with The Corpse in the Crimson Slippers. For the armchair fan it is a splendid brain-twister, a few chills, a clean-cut story, and very well put together. 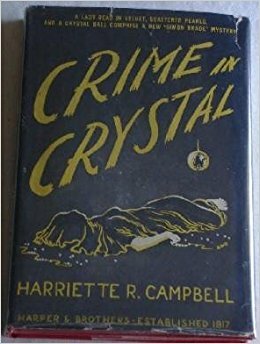 Still another good mystery is The String Glove Mystery by Harriette R. Campbell. It is one of those every-body guilty stories, very complicated and quite exciting. The mysterious murder at a fox hunt is made to look like an accident." by too intricate plot, and the sleuth will give you a pain, but it has its points. Verdict: Fair." "Crippled English socialite slain by fireside. 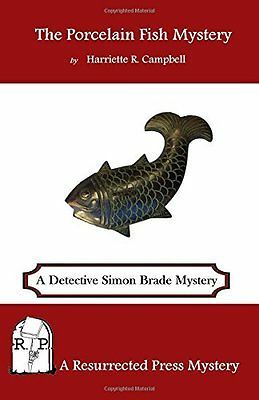 San T'sai fish and irritable cairn terrier help Simon Brade solve crime. Well bred and highly cultured opus with much display of huntin' pink, good writing, and clever solution. Verdict: Cerebral." deeply laid plot. Verdict: For connoisseurs." 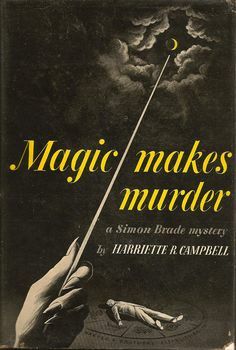 "The chapter headed 'Brade's Bricks' in The Moor Fires Mystery, by Harriette R. Campbell (Harper, $2), is an interesting elucidation of the odd methods of perhaps the most unobtru-sive detective in fiction. 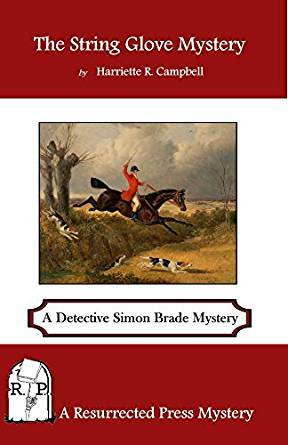 But Stephen Brade's deductions are sound, and the solution of the murder of Lord Serbridge and his secretary in the former's Scottish castle, is a well-guarded surprise. As an intellectual exercise this is among the best." "Scotland Yard, in desperation at inroads of thievish 'Left Shoulder,' calls in Simon Brade who juggles his ivory cubes successfully. Thefts of antiques and Ruritanian murder-intrigue mingled in deftly-written tale that carries Mr. Brade's unique methods to deductive extremes. Verdict: Able but arid." "Simon Brade, who hates the very word murder, solves two, one old, t'other new, in lonely house on stormy Scottish loch. Murderer of hapless Graeco-Irish sisters revealed in super-dramatic finish after Chinese ivory cubes clarify strange problem for observant sleuth. Verdict: For deduction-lovers." full of black magic, etc., and interesting group of characters make good reading. Verdict: Unusual." "Lady Vanessa Lorrister bludgeoned in boudoir. Her dressmaker is slain, too. Simon Brade and his ivory cubes solve riddle. Enigmatic girl suspect most interesting person in highly emotional blend of crime, clairvoyance, and canny deduction. Verdict: Adequate." The bottom line: "On the whole, the reader who does not wish to waste his time will do well not to read melodramatic novels of lower grade than those of Wilkie Collins, or detective stories of smaller merit than those of Conan Doyle." "It Is the Cleverest Criminal Who Always Makes the Most Striking Blunder"
(7) "The Diamond," The Red Book Magazine, June 1922. By Melville Davisson Post (1869-1930). First appearance: Everybody's Magazine, October 1920. Collected in Walker of the Secret Service (1924). Short short short story (4 pages, with 1 illo). "The futility of human ingenuity in crime—this is the theme of the intense drama packed in these few words. The same unique quality of suspense and surprise as this story has marks Mr. Post's next, in an early number." It looks for all the world like an open-and-shut case against Old Bill and Lying Louie, known criminals, who are standing trial for bank robbery and murder; even their defense counsel behaves at times as if they might be guilty. Actually, however, the cagey Colonel knows a lot more than he lets on, and with the help of two polka-dot handerkerchiefs he plans to catch the real killer . . . Comment: Because of the shallow suspect pool, an experienced detective fiction reader might see the Big Reveal coming long before it happens, but half the fun is getting there, n'est–ce pas? 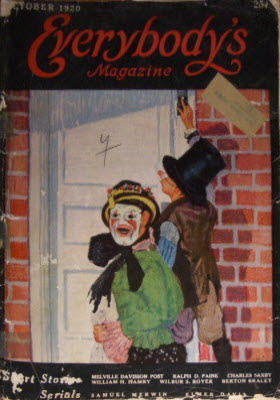 First appearance: Everybody's Magazine, June 1921. Short short story (5 pages, with 2 illos). 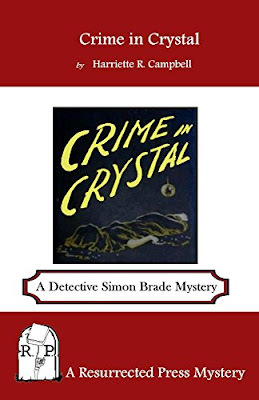 "A marked departure from the familiar detective story is Mr. Post's unraveling of this murder mystery. Here both the circumstances of the crime and its solution are masterfully presented together in the tense, hushed atmosphere of a crowded court-room by an attorney whose methods are none too ethical, but whose skill is extraordinary." ". . . it was not a 'mysterious stranger.' We have shown who it was. It was the person who had a motive to kill him, the opportunity to kill him, and who not only threatened to do it, but who had prepared a weapon with which to do it. Here are the elements that the law requires, time, place, opportunity, motive and conduct. Why, she as good as said it . . ."
. . . and he's absolutely right. The Colonel, her attorney, is going to be hard-pressed to mount an effective defense, especially because, while three shots were clearly heard, only two bullets were fired from the victim's gun, and not the slightest trace of a third bullet has been revealed anywhere at the crime scene . . . Comment: The Colonel in this story is surnamed "Armant." 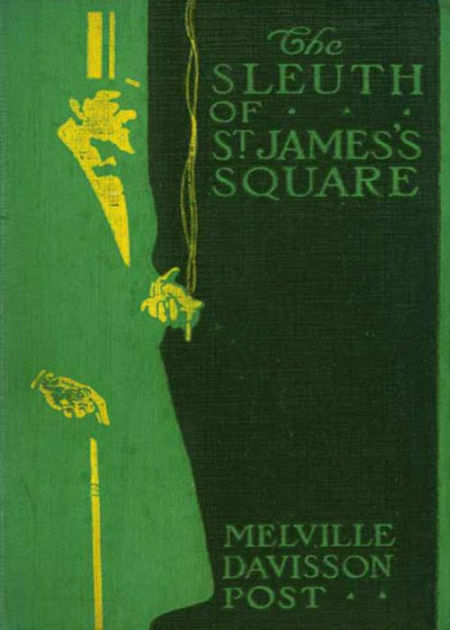 "The Girl in the Picture"
- Sir Henry Marquis's exploits were collected into The Sleuth of St. James's Square (1920), reviewed by Mary Reed (HERE) and online (HERE); Monsieur Jonquelle: Prefect of Police of Paris (1923) is also available as an e-book (HERE). State might be baffled. Deducible from the preceding paragraph is the originality of Mr. The bottom line: "If we found a ticket to Disneyland would you think we should arrest Mickey Mouse?"